A Jefferson County Sheriff’s Deputy has become a hero for seeking out justice for an abused dog last February. The Missouri deputy was out on patrol early morning on Saturday the 12th, just two days before Valentine’s Day. He was covering the area around Old State Road M and Schneider Road when he saw something off the roadside and decided to pull over and take a closer look. As the cop approached the freezing ditch along the roadside, he became horrified as soon as he realized what he was looking at. 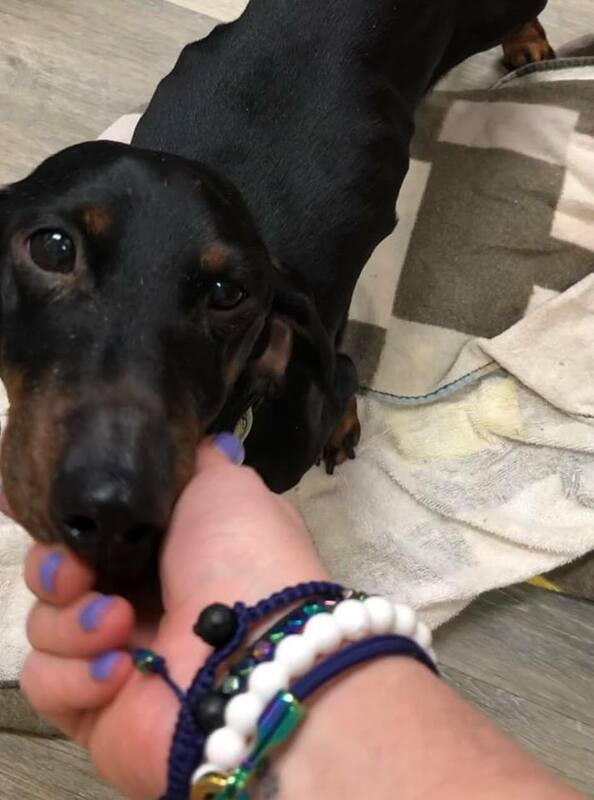 A small, elderly Dachshund had been completely bound with tape and left in the freezing cold to die. When the deputy approached the poor dog, it was clear that he was struggling just to survive, hanging on by only a thread. It was approximated that the dog had been abandoned to die in the harsh Missouri winter roughly 12 hours before the deputy rescued him from the frozen, desolate country road. Temperatures were in the low 30’s that morning, but just the night before they were only in the bone-chilling teens! Poor Jimmy, as he’s been endearingly named for the moment, suffered alone through the entire night in the freezing cold until his rescuer came, and the deputy wasn’t letting him quit now. 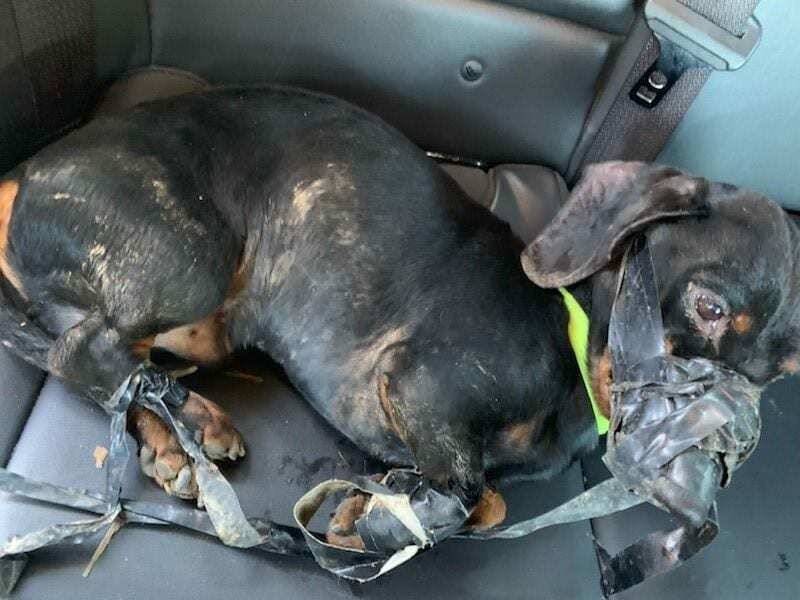 The deputy picked the dog up and took him to the car where he gently tried peal away all of the duct tape and electrical tape used to bind Jimmy before driving him to County Animal Control. Animal control took one look at Jimmy and drove him to Ivan Animal Hospital in House Springs to get checked for any serious injuries or health concerns. In an interview with Fox2 News, veterinarian Dr. Laura Ivan explains that with everything little Jimmy had been through, his outcome looked pretty good. A video released by the Sheriff’s office seems to confirm that Jimmy was indeed a happy dog again. While the deputy was happy to see that Jimmy would survive after all, he wasn’t about to put the case to rest. 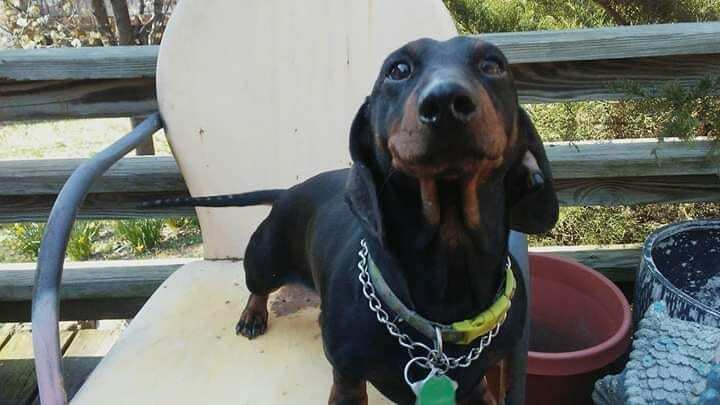 The deputy was smart enough to hang onto every bit of the tape that he peeled away from the poor dog’s muzzle, head, and limbs to keep as evidence, explains Jefferson County Sheriff’s spokesman Grant Bissell. Thankfully, that fingerprint was all they needed to point their investigation in the right direction, and completely worth all of the painstaking efforts it took to get it. 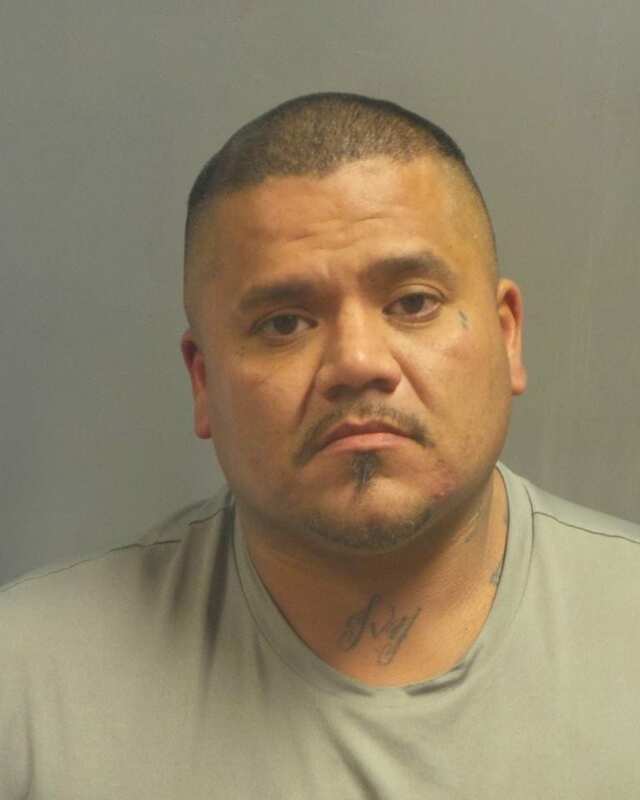 Running the fingerprint against their database led them to 39-year-old Paul Garcia, whom they promptly arrested on charges of animal abuse as well as armed criminal action for use of the tape to bind the dog. He is still being held with a $50,000 cash bond while the authorities try to determine what his motives were. 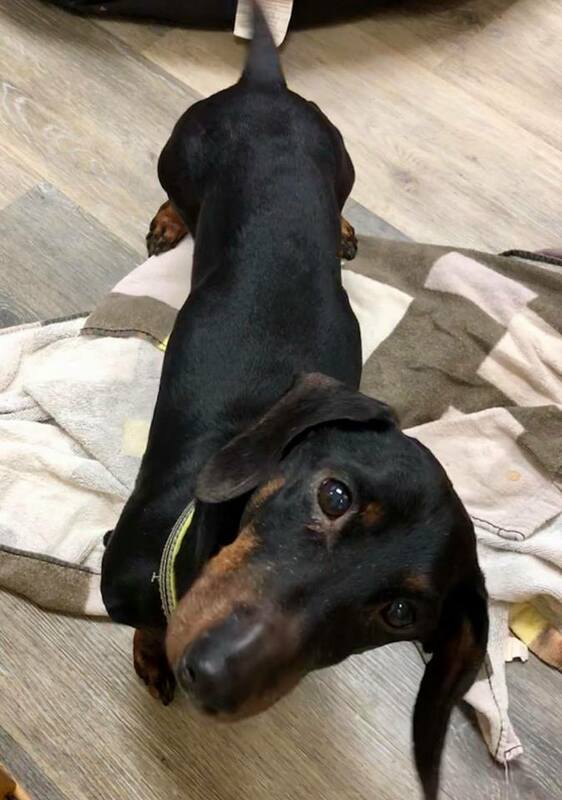 While they were able to arrest Garcia, they still hadn’t been able to locate the dog’s rightful owner, until the Animal Hospital posted a picture of “Jimmy” in their care, requesting any inquiries about him be made through the Jefferson County Sheriff’s department. That is when Katie Kofron came across the photo of who she believed was her dog, Flick, on the animal hospital’s Facebook page and claimed him in the comments. She goes on to say that he’s never run away further than the next door neighbor’s to play with their dogs, and believes that Garcia must have stolen him from her yard when she let him out to go pee. Of course, she received a lot of negative backlash in the comments as well as outright disbelief that “Flick” truly belonged to her, but Kofron jumped through all of the required hoops between the animal hospital and the sheriff’s department to get her beloved dog back in her arms. After sending Ivan Animal Hospital copies of Flick’s X-rays from over a decade prior to his dog-knapping and comparing them to his current X-rays, all parties were able to positively confirm that “Jimmy” was, in fact, Flick and that he belonged with Katie. After good samaritan and funeral home chain owner, Todd Mahn, heard about Flick’s story and Katie’s struggle to get him back, he stepped in a paid all of Flick’s medical care costs in full! The two have since been reunited, and from the video of the reunion below, it seems like Flick is happy to finally be back with his mom!